Global coatings giant, Akzo Nobel are asking innovators around the world to help them solve some of their key challenges. 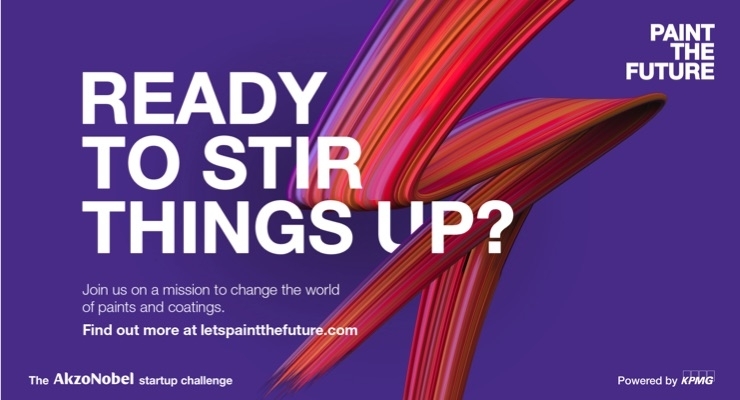 'Paint the Future' outlines a number of areas where the company are seeking innovative solutions, and through the challenge website, are asking people to submit their ideas. Smart Application - How could your solution change or improve the way customers apply product. Circular Solutions - How would your solution enable circular use of materials at any point in our value chain. Enhance Functionality - What exciting new functionality can your technology offer to make coatings cleaner, or responsive or adaptive. Life Science Infusion - How can your solution, containing bio-active technology, help bring better performance, or innovative features to our product. Predictable Performance - How can we collect and augment data more innovatively to make predictions for real world surface performance more accurate. Ideas can be submitted through the 'Paint the Future' website until 1 March, after which there will be a selection process leading to a collaborative event in the Netherlands in May. Here the successful innovators can work together and with the team from Akzo Nobel to refine their ideas, with the most promising solutions being offered joint development agreements.